Our professional studio is perfect for private makeup lessons or treating yourself to a VIP day of glamour. Sit back and relax in the comfort of our private makeup studio. 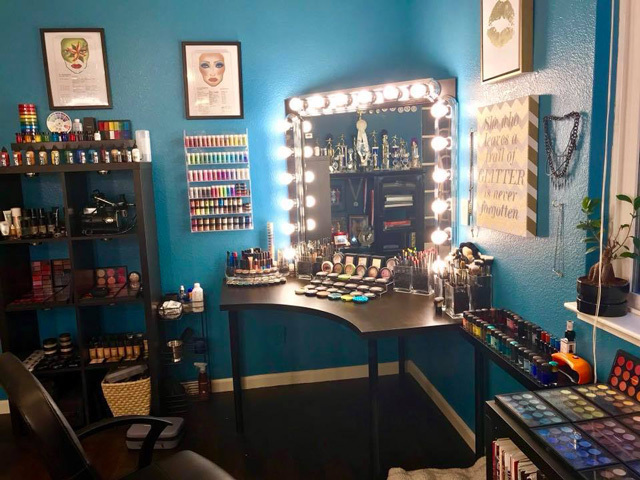 Our studio is fully equipped with everything you need to achieve your makeup dreams. LED adjustable lighting allows us to recreate the the lighting at your event. This ensures the precise application and optimal results whether you are in low candlelight or full theatrical stage lighting.